It took Amazon, but my Movie Transformers collection is complete...well minus Grimlock who never got a Movie style fig I liked. 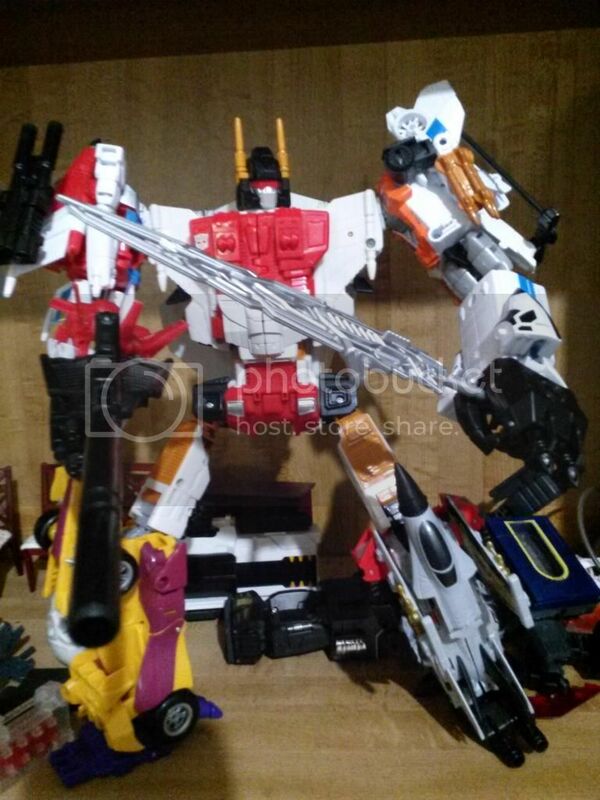 Nice!, how big does that make ol foc bruticus now? Feel like measuring it? 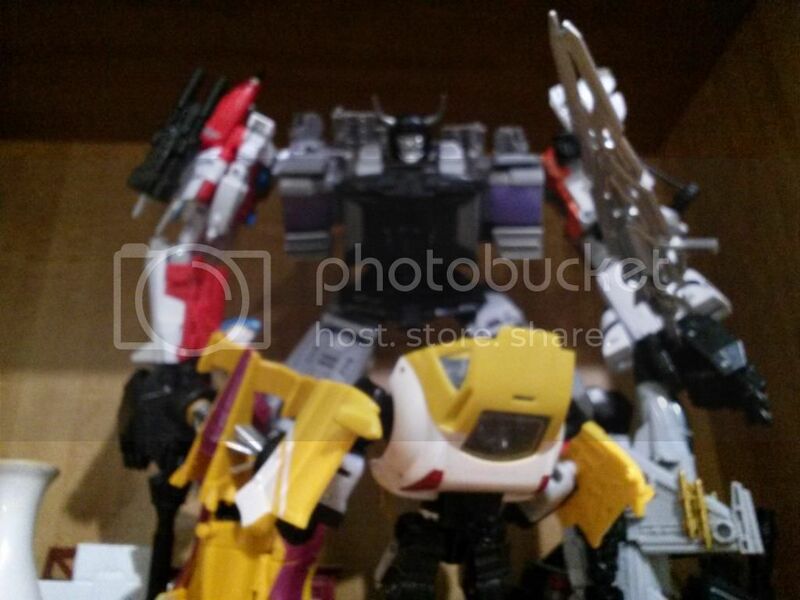 MrHolister wrote: Nice!, how big does that make ol foc bruticus now? Feel like measuring it? 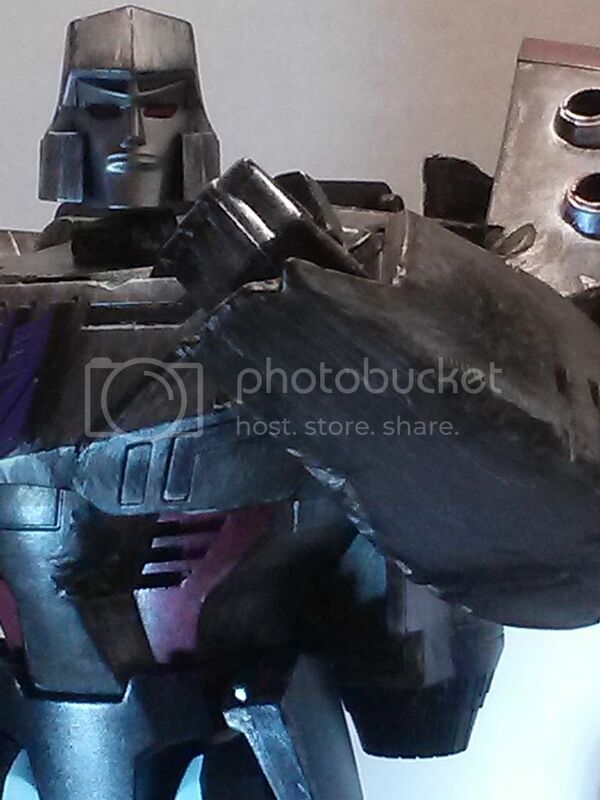 I forgot to measure it with Hasbro's Onslaught. But with this MBC002, i guess approximately... 18 inches. Maybe. Does anyone here having problem to view the picture? Looks like i got blocked viewing from Imgur, TinyPic, & Photobucket. Nevermind, i use wifi from my smartphone. Now i can see them properly. Storm Wing wrote: Does anyone here having problem to view the picture? Looks like i got blocked viewing from Imgur, TinyPic, & Photobucket. Nope. I used a head that came with iGear's Faith Leader. It's modded a bit with some paint apps and weathering, but that custom has about 5 other bots worth of parts involved..